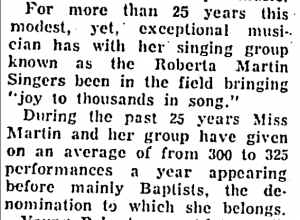 Roberta Martin proved that singing was not the only role open to women in gospel music. 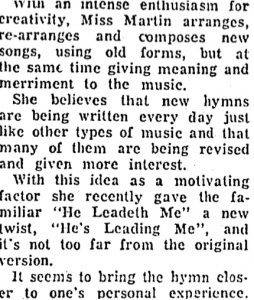 Her work has inspired many of the gospel genre and always instilled joy and encouragement to her listeners. Let this song play as you read! 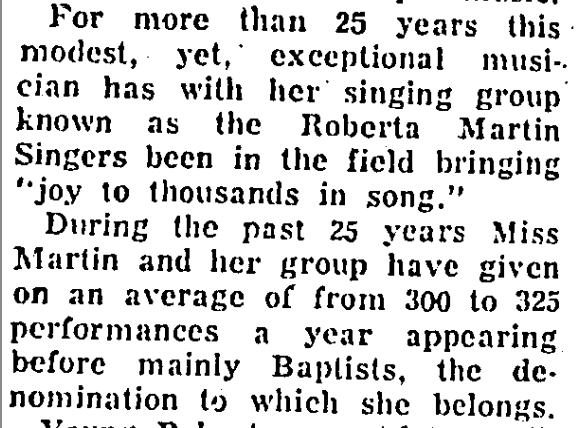 One thing that followed through the entire process was Roberta’s drive to give meaning and joy to the music. 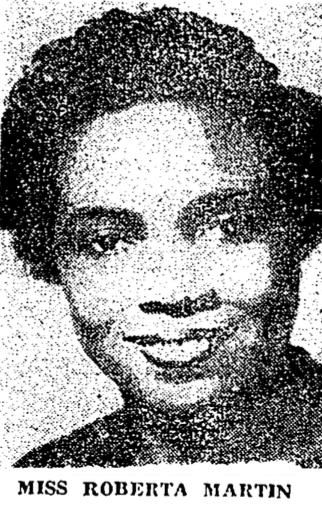 Consequently, the music the Roberta Martin created influenced many and became a staple for the Afro-American Gospel genre. 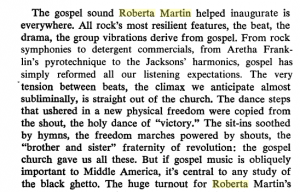 After her death on January 18, 1989, the huge turnout for her funeral was just a small sign of gospel’s hold on its followers. 6 On 15th July 1998 the United States Postal Service issued four 32 cent commemorative stamps honoring four of the queens of gospel music – Mahalia Jackson, Clara Ward, Sister Rosetta Tharpe and Roberta Martin. 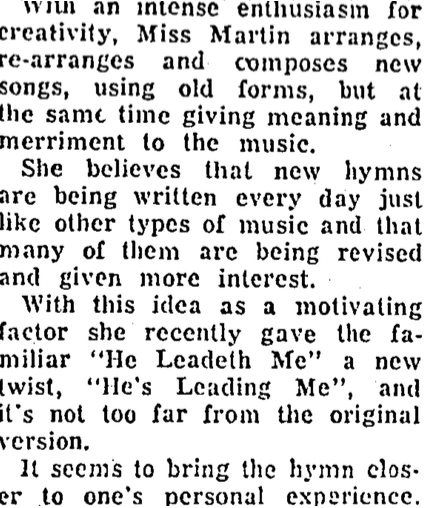 7 The Smithsonian was recognizing a woman who was majorly influential as a singer, pianist, composer, choral organizer, arranger, music publisher, and overall advocate for the Gospel tradition. 1 McNeil, William K., ed. 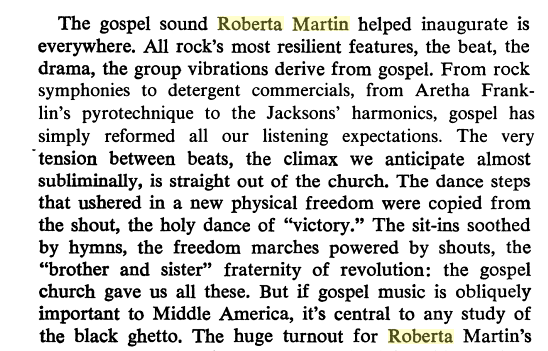 Encyclopedia of American gospel music. Routledge, 2013. p. 242. 2 Stone, T. C. (1960, Jan 23). Personality spotlight. The Chicago Defender (National Edition) (1921-1967) Retrieved from http://search.proquest.com/docview/492935100?accountid=351. 3 McNeil, William K., ed. Encyclopedia of American gospel music. Routledge, 2013. p. 242. 4 Heilbut, Anthony. The gospel sound: Good news and bad times. Hal Leonard Corporation, 1975. p, x. 7 McNeil, William K., ed. Encyclopedia of American gospel music. Routledge, 2013. p. 242. 8 Stone, T. C. (1960, Jan 23). Personality spotlight. The Chicago Defender (National Edition) (1921-1967) Retrieved from http://search.proquest.com/docview/492935100?accountid=35.